Large scale live painting and audio installation by Mental Spaghetti founder, Marie-Louise Plum. 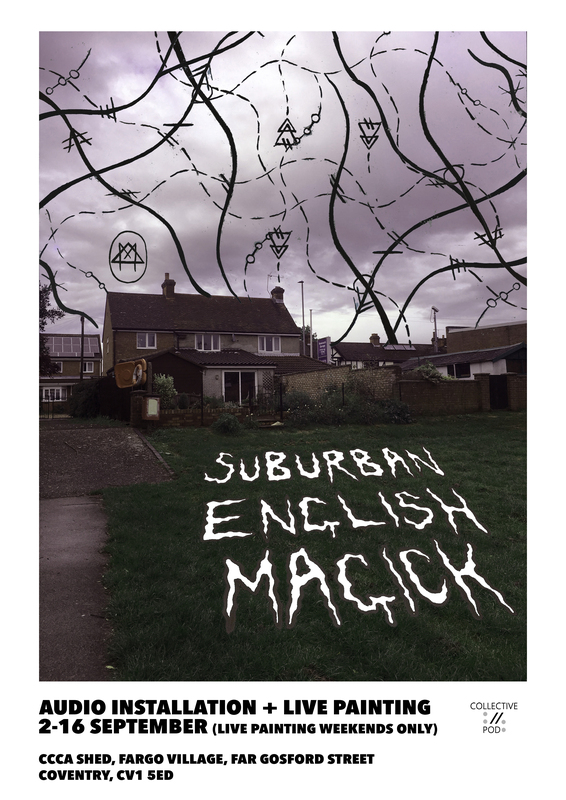 From 2-16 September, a picture of Suburban English Magick will be built up, in paint and tongue, in the Bob and Roberta Smith CCCA Shed, Coventry. Custodians of the CCCA, The Pod, have programmed this live painting exhibition in the run-up to the Scratch the Surface Festival, 2017, co-curated and programmed with various partners, including Mental Spaghetti. Please note that live painting and audio installation will only take place between 10am-6pm, from Fri-Sun, from 2-16 September. The installation is visible at all times, during Fargo Village opening hours. Please see website for more details.